The world-class chess genius knows well how to move his pieces in a few seconds to checkmate his opponent. Parham’s ingenuity and regular practice have won him the first place in the world in his age group. 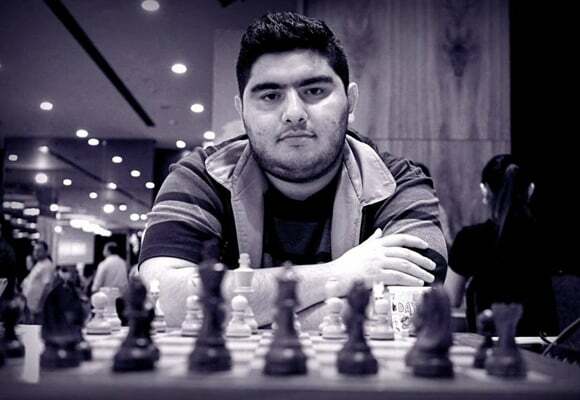 He gained fame in the World Junior Chess Championship with nine wins, one draw and one defeat. The success was praised by many world champions such as Garry Kasparov. Q: How old were you when you started to play chess? A: I was about 9 when I first played chess with my dad at home. I liked this game, and at the same time I enrolled in chess classes. After about three months, I won first place in our city championships and then I won the title at provincial tournament to reach national competitions. Q: What was the first international event that you participated in? A: It was a tournament in Slovenia. At that time, I was 11. Q: The number of tournaments you attended is far more than your age. Therefore, you’ve spent most of your time and your life on chess. Despite all these tournaments, how did you go to school? A: As I was participating in several tournaments during a year, my teacher was coming to our home to teach privately. In this way, I could catch up. Q: How many hours a day do you spend on chess? A: Depending on the situation, sometimes I may play chess for about 15 hours a day. The minimum that I need to spend on chess is 8 hours a day. Q: They call you “Master Bishop”? A: Honestly, I do not know where this nickname came from, and I don’t like it at all. In fact, my favourite piece is the knight. Because in the first international tournament I took part, a foreigner told me that whenever you want win, you have to keep one of your knights. This made me feel very positive about this chess piece. It’s really an important piece, and we can often checkmate the opponent using a knight at the very last moments of the game. Q: Do you have any offers from foreign clubs? A: Yes, I have played in the Turkish league, and now I have an offer from the French league. I also had an offer from the German league, but the payment was very low, so I did not sign a contract. I myself like to play in professional leagues like the Bundesliga (Germany), but the offers are not good enough. Q: – What is your highest rating in international competitions? A: My best rating in an official tournament was 2,859. Kasparov’s rating is 2852, and mine is higher than him. However still there is a long way ahead to reach him at the adult level. I’m sure that one day I will grab the title, and instead of giving me the titles of others, they must only call me Parham Maghsoodloo.